Another 50,000 juvenile Pink Snapper will be released into Cockburn Sound in February 2017 as the remarkable Snapper Guardians project continues its legacy. Dust off your Snapper Guardians shirt and bring your friends and family who may have missed it last year or who you simply want to share your passion with. The project is a wonderful example of how seriously fishers take the stewardship of their marine resources and what can be done when the recreational fishing community comes together with a common goal. The Snapper Guardians initiative was born out of the concerns of recreational fishers over the Cockburn Sound fish kill in late 2015, and their desire to protect this important metro fishery. Recfishwest set up the crowd funding campaign and the community did the rest. Keen fishers dug deep into their own pockets to support the stocking of Cockburn Sound with baby Pink Snapper and the generosity of local fishers exceeded all expectations, showing just how much they care about fish stocks and the natural environment. The funds required to make the project happen were raised through individual and corporate support in a matter of hours, surpassing all expectations. This then allowed us to develop a release event where the people could come down, roll up their sleeves, get in the water and release fish back into the wild. 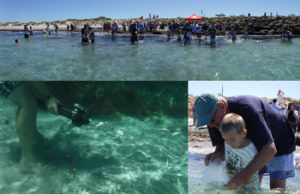 Hundreds of people, including plenty of kids and families, turned up to the release of 5,000 juvenile Pink Snapper in Cockburn Sound, attracting widespread media coverage which showcased how recreational fishers were willing to give back to the resource they care about. 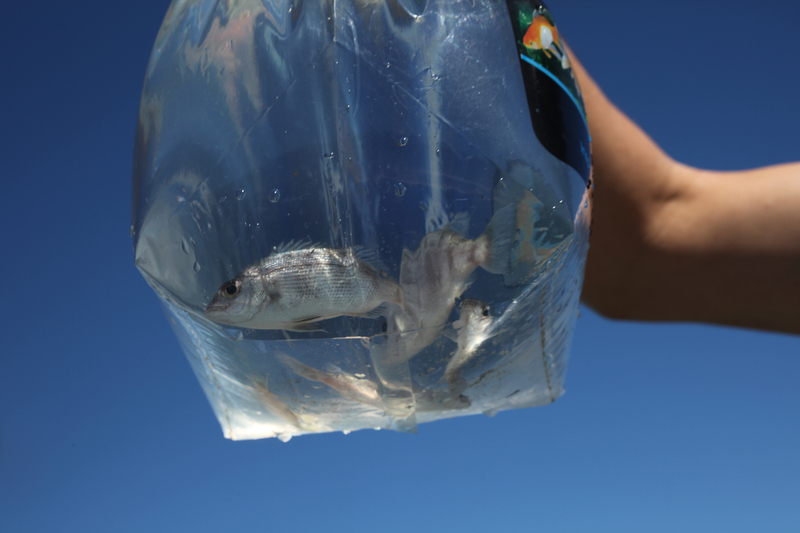 In all, 50,000 Pink Snapper raised at the Australian Centre for Applied Aquaculture Research in Fremantle were released. Those baby snapper were the result of a previous trial project supported by Recfishwest (funded through the Recreational Fishing Initiatives Fund) to test egg collection methods for Pink Snapper eggs from Cockburn and Warnbro Sounds. Coinciding with the fish kill tragedy, these eggs hatched and gave us the opportunity to grow the juvenile fish out to a size maximising their chance of survival in the wild. The incredible community support and Recfishwest’s leadership in conducting the project has resulted in the State Government committing to provide full funding for Snapper Guardians to continue and another batch of juvenile pinkies are set to be released in February 2017. One of the most satisfying aspects of last year’s Snapper Guardian program was the community release event where hundreds of children were able to directly release fish into the water. Once again Recfishwest will be holding a community release event on Saturday, February 11th at Woodman Point and everyone who loves fishing and Pink Snapper are once again invited. Missed out last year or coming back to release more fish? Check out how you can be involved at this year’s release event below! What You Need to Bring: Family, Camera, Hat, Sunscreen, Snorkel for those who want to get in the water. – Would all the eggs that hatched survived in the wild? No, in the wild survival is extremely low, only approximately 50 fish from the eggs collected would have survived. The amount of fish being released in this project would normally come from about 1.5 billion eggs. – Why were eggs taken from Cockburn Sound only to be put back? An RFIF project to test egg sampling methods was carried out before the Cockburn Sound Fish Kills. Coincidently these eggs hatched and we had the opportunity to grow them to optimise their survival. This project protected the eggs through the most vulnerable stage of their lifecycle. – How will we know if these fish will survive? They have been stained with a non-toxic coloured dye (you can’t see it). When a fish is captured in years to come and the otolith (ear bone) is removed, we’ll be able to identify these fish and know how successful this project has been.